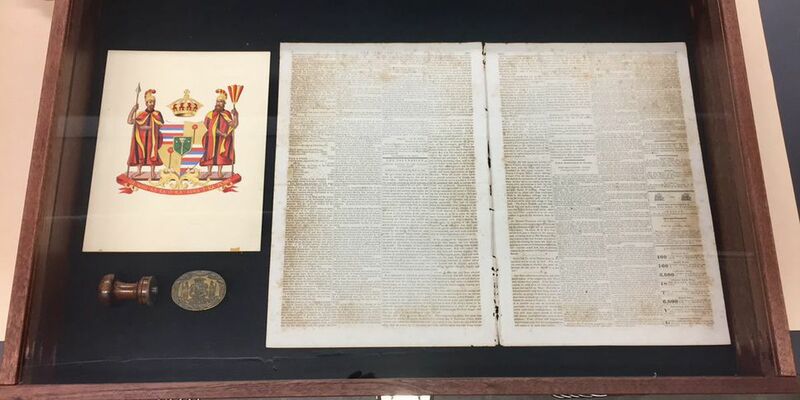 The Hawaii State Archives is showing off rare documents in an upcoming open house. The items, which have never been displayed, are in recognition of the 175th Anniversary of the signing of the Anglo-French Declaration. The recognition brought a blossoming of diplomacy. International treaties were signed and over 110 Hawaiian Kingdom consulates were opened around the world, the state said. The displaying of the documents is a part of the “Year of the Hawaiian” celebration initiated by Gov. David Ige. The open house is scheduled for November 28 from 1 p.m. to 3 p.m. at the Kekauluohi Building on the grounds of Iolani Palace. Prior to the open house in the Kanaina Building, a lecture will be held on Timoteo Ha’alilio, one of three Hawaiian Kingdom delegates who negotiated with the European powers to achieve the historic recognition. The lecture begins at 11:45 a.m. and will be followed by a walk to Pohukaina in front of the building to pay respects at his grave.